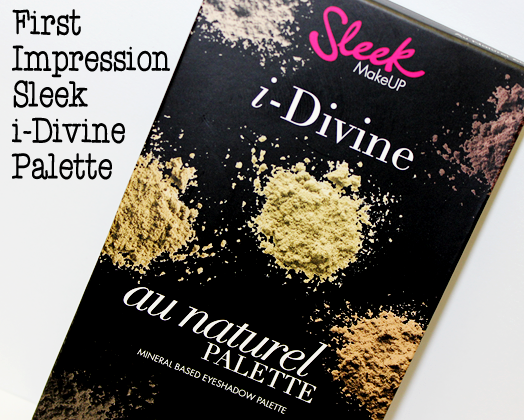 Like so many other people, I had been wanting to order an i-Divine palette from Sleek for a long time now. I'm pretty sure that they changed either their shipping method or simply worked shipping costs into the international prices so that the total is lower, because I feel like that was why I'd never placed an order with Sleek before. Either way, the shipping was cheap like borscht and I've definitely been taking advantage of that to try some more from the line. I'm still not sure why this palette wasn't on my first Sleek order, since this was the item I had been coveting for well over a year now, but I make weird decisions sometimes so I don't think there's any rhyme to the reason. I ordered this about a week after my first Sleek order arrived swiftly, in good condition, and of good quality. Keep reading to see my thoughts. I'm definitely someone who likes the little details, so I love the fact that even a much more affordable palette comes in it's own unique box. It just gives it a little something special, I think. Small but definitely appreciated now that I think about these kinds of things. 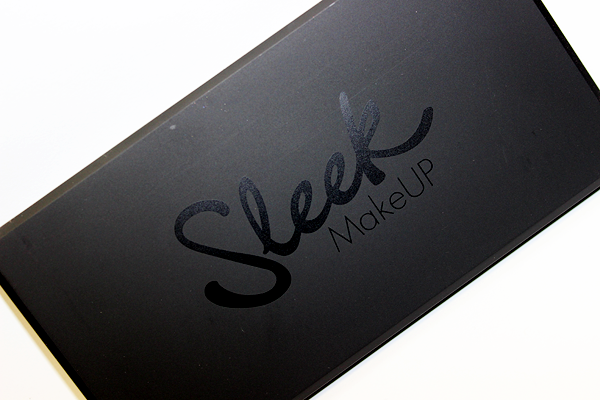 Like all Sleek products, the packaging is very minimal and streamlines - sleek, for lack of a better word. The palette is actually much smaller than I thought it would be, about a half an inch taller and wider than my iPhone 5C, but I actually find the size of it to be quite convenient for slipping in my purse or into a makeup bag for overnight. I have a lot of palettes with a similar number of pans that are much bulkier and heavier and never feel all that convenient for taking on the go, so this is a nice addition for that reason. 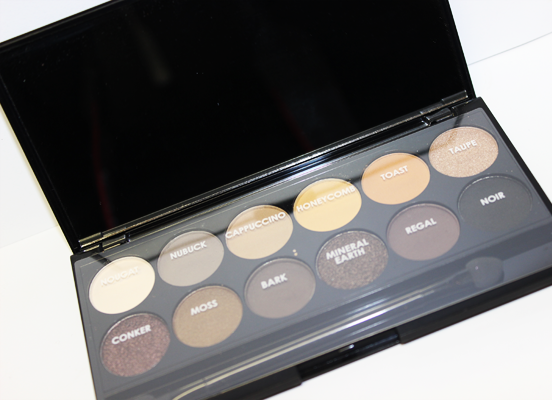 When you open the palette, there is a thin plastic sheet laying over the shadows that has the names of each shade hovering over the corresponding pan. Again, this is a very nice little touch, since you can keep that sheet with the palette for reference instead of having wasted space where the names are printed on the packaging itself - or not having them printed at all. 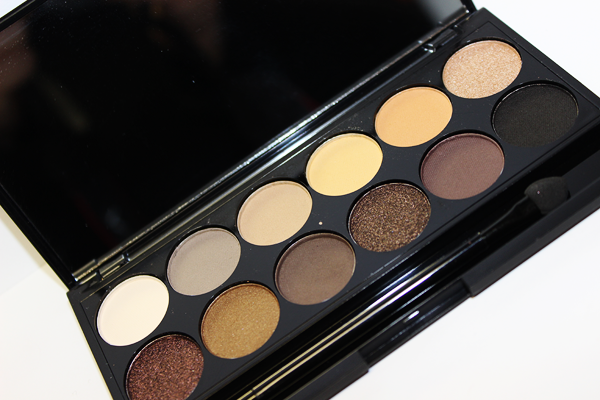 This palette is a combination of 8 matte shades, 1 satin shade, and 3 shimmery/metallic type shades. There is no glitter in this palette, not even fine glitter. It is entirely neutral (as you'd guess, with it being named au naturel and all), but with a couple of shades that keep it from existing entirely in the brown and taupe neutral family. 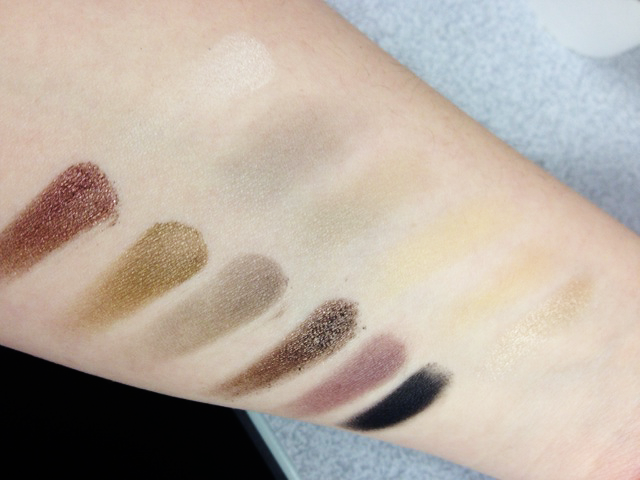 All of the shades in this palette, save for the vanilla highlight shade and the deep black, run very warm in tone. This photo actually doesn't do justice to the beautiful, rich pigmentation of that bottom row of shadows. The paler top row doesn't swatch very deeply, but I almost feel like I don't necessarily want it to. For me, those shadows will inevitably used for highlights or to blend out the crease, so I like the subtlety of them and feel like they'll still be effective - particularly if paired with shadows from the bottom row. The stars in this palette, for me, are Conker, Mineral Earth, and Noir. All three of those shades are incredibly creamy and smooth in texture with incredible pigmentation that I think will work beautifully to deepen up all kinds of eye looks or to create a beautiful smoky eye. VERDICT: I'm actually really happy with this palette so far and can't wait to play with it and see what kinds of looks I can get from it. 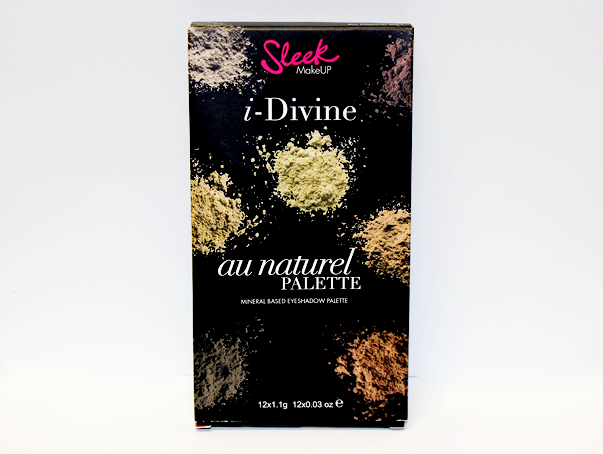 Also, I'm very much considering ordering a couple more i-Divine palettes with some varying colours and shades since I do really like the quality of these shadows quite a bit. All around, I feel like this is a very, very good palette for its price tag and is a really solid addition to anyone's makeup collection. Particularly, I would recommend this to people just starting out with makeup since it's very versatile, but at the same time easy to work with to create really wearable looks.